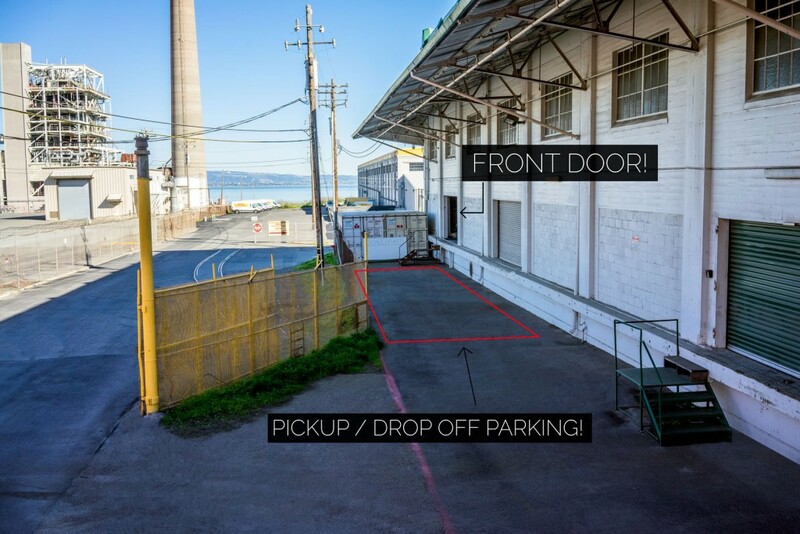 Scale Up Art Parking | Free Parking right outside our door, come in today! Drive towards the end of 23rd street and continue towards the yellow gate, stay to the right of the yellow gate and you will see our sign and front door. Feel free to pull up and park right in front of our sign for easiest convince. There is also ample parking along 23rd street. We are also located only 1 block away from the T-Muni train at Third street. Walk towards the end of 23rd and you will see our sign and front door to the right of the yellow gate.